Things are about to get (much) easier. All our managed SEO, PPC & Social Media plans come with access to our revolutionary marketing dashboard. With just one login you can monitor SEO, Social & PPC analytics, call tracking, and website performance. The first page you see is your customized dashboard, giving you a quick glance look at your marketing world. The dashboard gives you all of the campaign's essential information in a quick glance. You no longer have to switch between different marketing software! The interactive dashboard displays the information which makes a difference to your bottom line. Offers a variety of web analytics, search and social metrics. Compare data over time periods to see your marketing efforts. 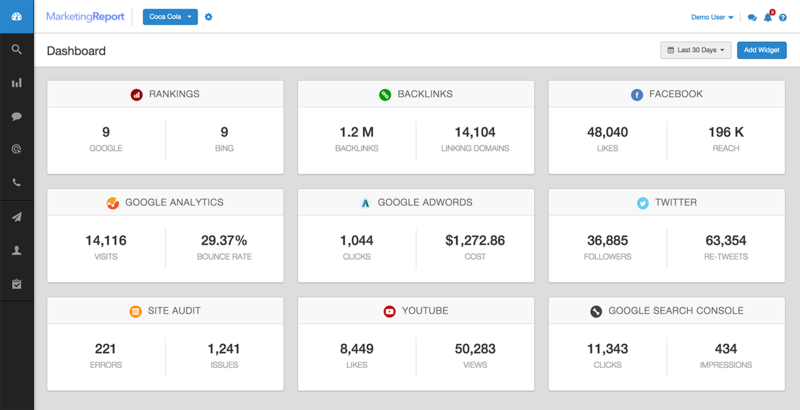 Build and Schedule Reports in Seconds for SEO, PPC, Web Traffic & More. Visually appealing automated reports are setup in minutes and leave the spreadsheets in the dust. Save your time, employees time, and streamline the reporting process. Unlike the other guys, we allow you to create unlimited reports with even the lowest subscription package. 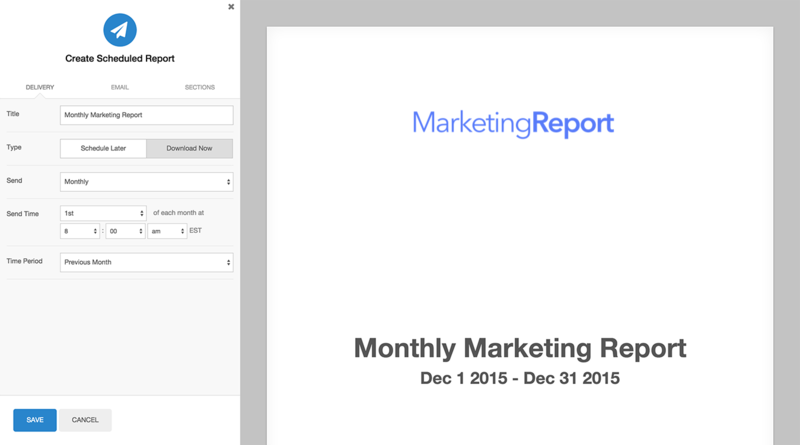 This allows you to create reports for multiple members of your team. 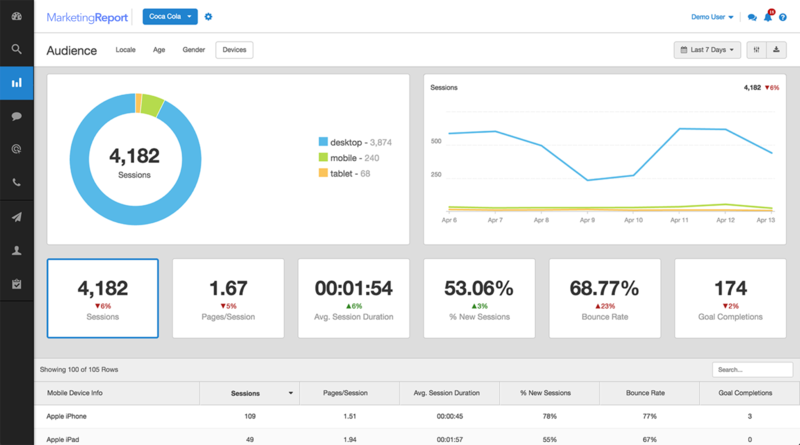 One Dashboard to Monitor Campaign Performance and Gather Insights. 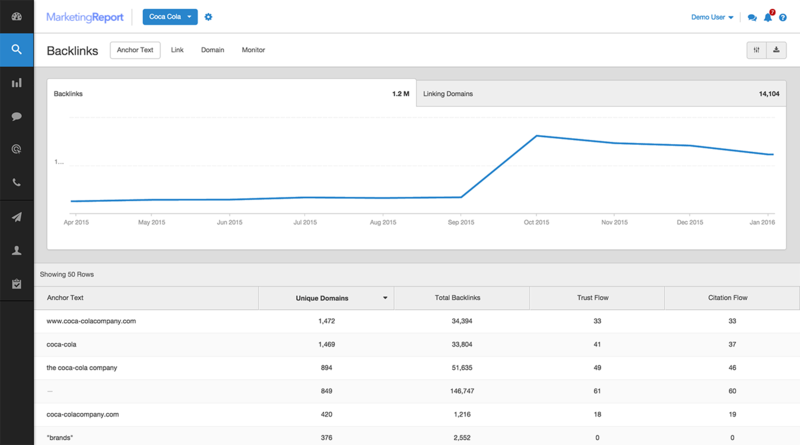 The Wodu Media marketing dashboard integrates the analytics sources you need: Google Analytics, Google Webmaster Tools, Adwords, Facebook Ads, Call Rail & Call Tracking Metrics. Don't waste time switching through tools and making spreadsheets. Our dashboard gives you numbers which actually matter and help their bottom line. 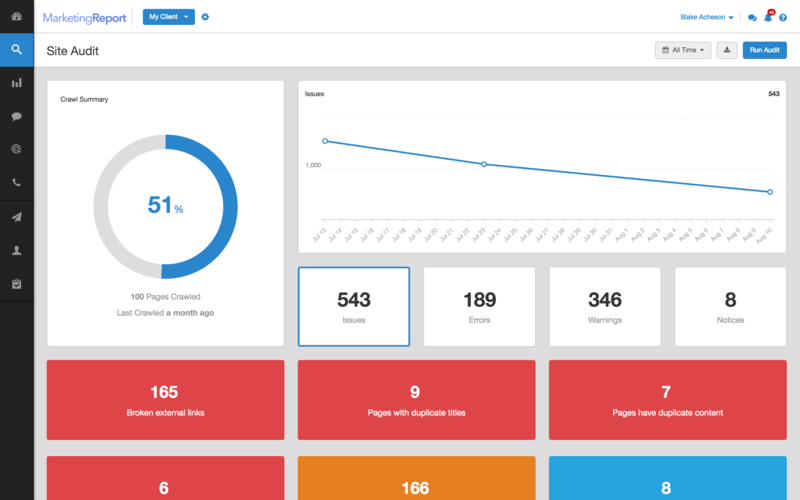 Our direct layout allows you to enjoy visually appealing analytics dashboard. Easy to use rank tracking for businesses that demand accuracy. 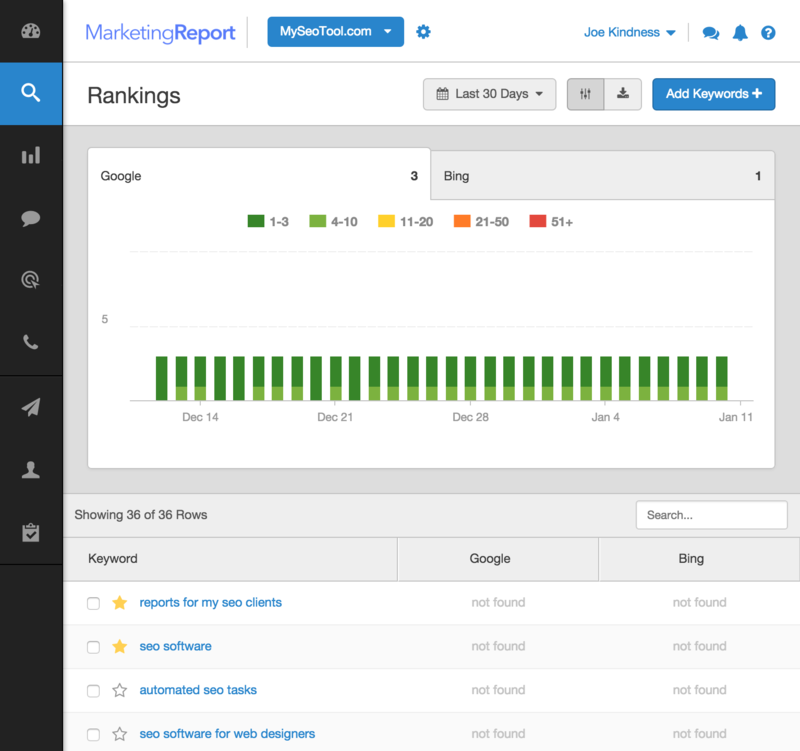 Monitor your SEO performance with our rank tracker, it takes seconds to see results. Clean and simple charts allow you to analyze the data and see how our marketing efforts are paying off. The dashboard emulates a real user in any location and searches the top 100 results to give you pinpoint accurate rankings. Track rankings in the area of your choice. Whether you’re doing a global campaign, country-level campaign or a city-level campaign for your local business. You don’t need to download software or buy expensive proxies. You'll save thousands a month as we host all the infrastructure on our dedicated servers. Automatically discover website issues and track progress with weekly and monthly updates. Analyze your website and pinpoint SEO errors in an easy to read format. It gives you the ability to prioritize and tackle the common problems that plague websites. Our SEO auditor will crawl your website weekly or monthly. This way you can track your progress over time and reveal how many issues you’ve corrected. Enable your staff to create regular SEO audits and demonstrate value to your stakeholders. Deploy, monitor and analyze your social campaigns. View valuable social media reports that are easy to make and read. Monitor engagement on Twitter, Facebook, Instagram, LinkedIn and Youtube. Reply to comments and schedule follow-up posts all in one platform. 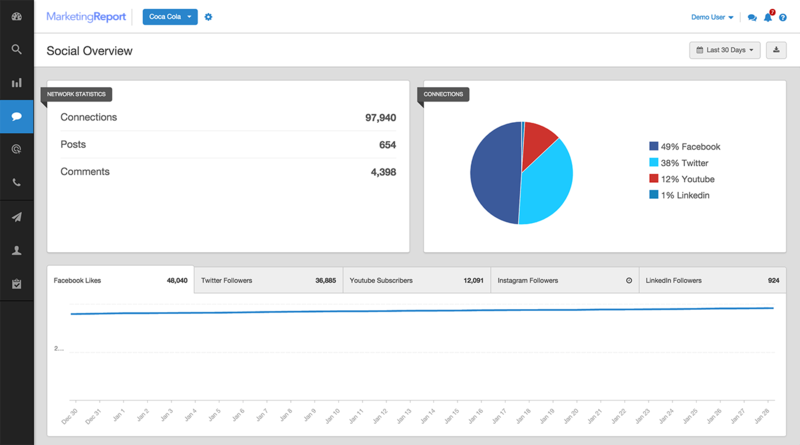 The Wodu Media dashboard gives you an area to keep an eye on your social media marketing efforts. You can see the latest posts across all channels and the engagement they've received. Easy way to track the backlink profile of your website. Wodu Media pulls data from Majestic (at no extra cost!) to give you a detailed backlink profile for your marketing project. You can see what websites link to it, the strength of the backlinks, the anchor text and more. View an extensive list of backlinks grouped by domain, anchor text and URL for yourwebsite. See the Alexa Rank and inbound links for each domain to find the juiciest links.